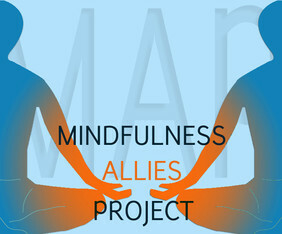 The Mindfulness Allies Project Model is a process and a set of guidelines for MAP curriculum, teachers, and member sanghas (Buddhist practice groups or organizations). MAP classes may be either ongoing or offered as a series at least once a year, for a period of 4-6 weeks. The MAP Model is not intended for classes in prisons, as this setting requires unique skills and content. CONNECT with local organizations serving people in need to support functional helping rather than dysfunctional rescuing in MAP classes. TEACH ongoing classes or a series according to the MAP Guidelines. REFLECT on the MAP classes. Write up these reflections, including direct participant feedback when possible. SHARE your findings with MAP. They will be posted online for other members to read and learn from. MAP seeks to reach those experiencing one or multiple intersecting marginalizations or challenges based on economic status or personal identity, such as race, ability, and sexual or gender orientation. 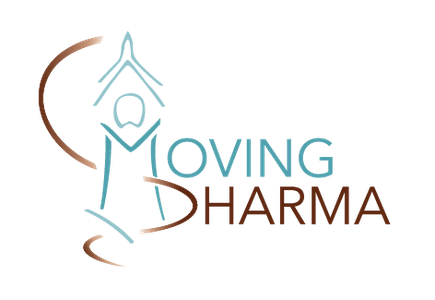 MAP seeks to benefit participants primarily through the teaching of mindfulness practices. Mindfulness is understood as non-judgmental present moment awareness, for which self-acceptance and kindness is essential. MAP classes are tailored to participating individuals and populations. MAP teachers and member sanghas work with their partner organizations to align the class content with the needs of the community. Toward being accessible to the widest possible audience, MAP classes are offered in a secular fashion, while making efforts to accommodate the religious beliefs of participants. MAP teachers are well versed in mindfulness practice and experienced in giving instruction. MAP teachers encourage members of their partner organization to take on roles of responsibility within the MAP classes. MAP teachers understand and commit to the role of being allies, and have training, beyond mindfulness, in practices and competencies that support their sensitivity and efficacy, such as anti-racism training, class awareness, feminism, non-violent communication, and Insight Dialogue. When possible, MAP teachers are endorsed and supported by a MAP member sangha to offer MAP classes. MAP teachers understand their role is not therapist, doctor, or social worker. They will be informed of and, when appropriate, make referrals to other professional resource providers. MAP member sanghas partner with local organizations to help foster a sense of shared place. MAP member sanghas approach their partnerships with an attitude of mutual benefit, learning, respect, and empowerment. MAP member sanghas embrace sustainable partnerships, attending to both MAP teacher self-care and MAP class continuity. If not ongoing, MAP member sanghas will strive to offer a series of MAP classes at least once a year, for a period of 4-6 weekly classes. MAP member sanghas will make efforts toward increasing accessibility by offering MAP classes free of charge, or at low-cost when necessary. MAP classes will be supplemented with appropriate material support when possible, such as providing free childcare during and free meals after classes for participants. MAP member sanghas, while working within the MAP Model, have the flexibility to endorse MAP teachers and develop MAP classes according to their own judgment of what is both beneficial and possible. The content, number, frequency, length, and follow-up support of MAP classes will vary among MAP member sanghas. MAP member sanghas make efforts to gather and share findings from their MAP classes with other MAP member sanghas.